Scrutiny: Johnny Depp plays a part time rogue in the action comedy, Mordecai..
Johnny Depp plays a part time rogue in the action comedy, Mordecai.. The eccentric Johnny Depp will be seen in the title role of Charles Mortdecai in his next outing, the highly anticipated action-comedy, MORTDECAI, releasing worldwide including India on January 23, 2015. A part time rogue, Charles Mortdecai’s luscious blonde wife Johanna is played by Academy Award-winner Gwyneth Paltrow. The film has an enviable supporting cast including Ewan McGregor, Olivia Munn, Jeff Goldblum and Paul Bettany. Lionsgate and Oddlot entertainment presentation an Infinitum Nihil/ Mad Chance/ Lionsgate Production will be released in 100 screens across the major cities of India - Mumbai, Delhi, Bangalore, Pune, Kolkata, Hyderabad, and Chennai. 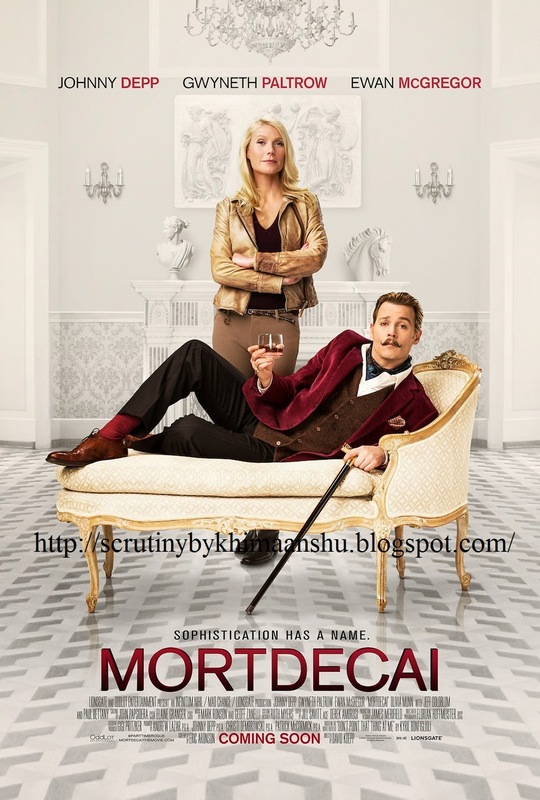 Mortdecai is adapted from the book anthology The Mortdecai Trilogy written by Kyril Bonfiglioli, which are described as a cross between PG Wodehouse and Raymond Chandler. Directed by David Koepp, a prolific Hollywood screenwriter (Mission Impossible, Jurassic Park, Spiderman) as well as director (Ghost Town, Premium Rush), Mortdecai is an action comedy that revolves around the adventures of a dissolute aristocratic art dealer. Koepp previously collaborated with Depp on the screen adaptation of Stephen King’s novel, Secret Window. “I read the books and the character made an indelible impression,” says Koepp.